Stephane Mallarme. Mallarme, Stephane, photograph. The Library of Congress. Stephane Mallarme is one of France’s four major poets of the second half of the nineteenth century, along with Charles Baudelaire, Paul Verlaine, and Arthur Rimbaud. Although he was recognized as a prominent artist during his lifetime, much of his poetry was acknowledged to be difficult to understand because of its fractured syntax, ambiguous expressions, and obscure imagery. Critics during his lifetime and afterward have continued to disagree as to the precise interpretations of many of his later works. Mallarme’s development as a poet; he abandoned his youthful interest in Romantic lyricism and turned to Charles Baudelaire’s Lesfleurs du mal (1857, Flowers of Evil) for inspiration. Mallarme’s earliest work, in which he chose to describe imaginative visions rather than depict reality, dates from this period. While his family disapproved of his interest in Baudelaire and confiscated his copy of the book, Baudelaire remained Mallarme’s first strong literary influence. First Publication, Language Studies, and Return to France. In 1860, Mallarme received his baccalaureate degree from the university in Sens; after graduation he became an apprentice at his grandfather’s registry office. He also became friends with professor Emmanuel des Essarts, with whom he discussed literature and art. Encouraged by des Essarts, Mallarme published his first sonnet in 1862 in the short-lived literary journal Le papillon. Shortly after the sonnet’s publication, Mallarme met his future wife, Maria Gerhard, a schoolteacher who accompanied him to London in 1863. Mallarme aspired to become a foreign-language teacher and to learn English in order to translate Edgar Allan Poe. He succeeded, and his translation, Les poemes d’Edgar Poe, appeared in 1888. When he returned to France at the age of twenty-two, Mallarme married Gerhard and took a teaching position in Tournon, a small village on the Rhone River. Poetic Struggles. Although Mallarme had already begun to develop his poetic and linguistic theories, his work and meditations were constantly interrupted by what he considered the tedious duties of a schoolteacher. His pupils openly mocked him, and when Mallarme’s poem ‘‘L’azur’’ (The Sky) was published, along with ten other pieces in Le parnasse contemporain in 1866, the students scrawled the poem’s final line over the blackboard: ‘‘Je suis hante. L’azur! l’azur! l’azur!’’ (I am haunted. The sky! The sky! The sky!) Their ridicule, however, did not inhibit Mallarme’s poetic studies, and although his writing habits were slow and meticulous, his work began to receive attention in literary circles. Poe replaced Baudelaire as Mallarme’s dominant literary influence, and he began to write lengthy, dreamlike poems that reflected the poetic theories of his new mentor. Inventing Language from Poetics. After his poems were published in Le parnasse contemporain, Mallarme wrote a letter to his friend Henri Cazalis in which he explained his developing poetic aesthetic and his work on a prose poem titled Herodiade: ‘‘[I] am inventing a language that must necessarily spring from a very new poetics, which I could define in these few words: to paint, not the thing, but the effect it produces. The poetic line should be composed not of words but of intentions, and all words should efface themselves before sensations. I mean—for the first time in my life—to succeed. I would never pick up a pen again if I failed.’’ Herodiade is a reworking of the biblical story about Herodiade, or Salome, as she is also known, who causes John the Baptist's murder by decapitation. In Mallarme’s interpretation, Herodiade is a melancholic and chaste princess who eschews her own sexuality in order to attain moral perfection. This work, which remained unfinished, caused Mallarme much anguish throughout his life as he struggled to properly convey his poetic vision. An Exploration of Sensuality. As Mallarme was struggling to complete Herodiade, he began to compose Afternoon of a Faun, which he intended to be a companion piece to the first work. In a letter to Henri Cazalis dated 1865, Mallarme explained his motivations: ‘‘I have been at work for ten days. I have left Herodiade for the cruel winter: That solitary work had sterilized me, and in the interval I am rhyming an heroic interlude with a Faun as its hero.’’ While Herodiade is a mystical interpretation of sexual repression, Afternoon of a Faun addresses how sensuality, ardor, and physical sensation attain significance through meditative introspection. Therefore, while Herodiade suggests chastity can lead to spiritual perfection, Afternoon of a Faun explores the nature of sensual pleasure only to reveal the deceptive nature of illusion and reality. The Belle Epoque. The period during which Mallarme grew up and attained success was known in France as the Belle Epoque, or Beautiful Era. This was a time notable throughout Europe for its political stability and economic prosperity. The Franco-Prussian War, the culmination of many years of hostilities between Germany and France, came to an end in 1871; the devastation of World War I would not arrive until more than forty years later. Because of this relative peace and prosperity, the Belle (Epoque led to a flowering of the arts, with performance arts, such as plays and music, enjoying a boost as audiences sought light entertainment. Mallarme’s work was perfectly suited for the French audiences of this time period. Persistence Against All Odds. Uncertain and despondent though he may have felt late in life, Mallarme nevertheless recovered sufficiently from his pessimism on occasions to write elegies to Baudelaire in 1895, to Verlaine in 1897 and to Vasco da Gama in 1898. This last poem, ‘‘Au seul souci de voyager’’ (To life’s sole goal of sailing onwards) was written to celebrate the four-hundredth anniversary of da Gama’s voyage to India, but Mallarme also saw, in the great explorer’s persistence in sailing into the unknown against all odds, an image of his own unwavering pursuit of the ideal world, despite disappointments and setbacks. Mallarme died in Valvins later that year. Rainer Maria Rilke (1875-1926): A transitional figure between traditional and modernist poetry, Rilke—who wrote in both German and French—is considered one of Germany's greatest poets. William Butler Yeats (1865-1939): Irish poet and playwright, Yeats had won the Nobel Prize in Literature even before his greatest works were published. Alexander Graham Bell (1847-1922): Inspired by his work with speech therapy, Bell experimented with mechanical speech devices. These experiments eventually led to his most famous invention, the telephone, a device he would later repudiate as too much of a distraction. Wyatt Earp (1848-1929): One of the prototypical figures of the American Old West, lawman and entrepreneur Earp is best remembered today for his role in the gunfight at the O.K. Corral, along with Doc Holliday and Earp's brothers Virgil and Morgan. Sanford B. Dole (1844-1926): A member of the wealthy family that owned the well-known pineapple-canning company, Dole was instrumental in forcing the late-nineteenth-century transition of Hawaii from a monarchy to an American territory. Alfred Dreyfus (1859-1935): A French artillery officer who was charged with treason in 1894 in what was revealed to be an anti-Semitic conspiracy. His subsequent exoneration was one of the biggest political scandals of its day. A Season in Hell (1873), an extended poem by Arthur Rimbaud. The prototypical enfant terrible, Rimbaud had written his best work and quit poetry before his twentieth birthday; A Season in Hell's hallucinogenic imagery would continue to influence many artistic movements beyond symbolism. Sagesse (1880, Wisdom), a poetry collection by Paul Verlaine. A collection of poems dealing with maturation, Verlaine's poetry was, like his partner Rimbaud's, influential on nonsymbolist poets and artists in the twentieth century. Au Le jardin de l'infante (1893, Garden of the Princess), a poetry collection by Albert Samain. The volume that made Samain's name as a poet, these melancholy verses are firmly placed within the symbolist genre. Mallarme’s vision was of the transcendent word—of language that belongs neither to the world of things nor to the human world of speech but rather to primordial emptiness, in which the splendor of beauty exists as a sheer presence, a pure quality not based on any reality but the written word. 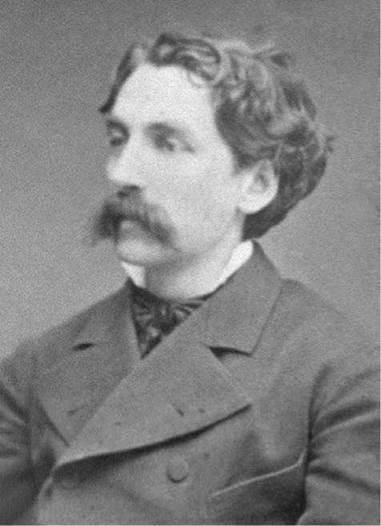 Although Mallarme has sometimes been hailed as the originator of the symbolist school, his poetic aesthetic was greatly influenced by the works of Charles Baudelaire, Paul Verlaine, and Arthur Rimbaud, other French poets also associated with the developing trend toward symbolic representation of human emotion. Symbolism. Stephane Mallarme was one of the foremost contributors to French symbolism, a nineteenth- century poetic movement whose members believed that the function of poetry was to evoke moods and impressions rather than to describe concrete realities. Mallarme differed from his predecessors, however; while he was dissatisfied with conventional interpretations of existence, he attempted to delineate other possibilities in a way that appealed not only to the heart but also to the intellect. Charles Chadwick explained: ‘‘[Mallarme] could not simply take refuge in some exotic memory or vision of an ideal world. If there was an alternative to reality then it must, in Mallarme’s view, be capable of rational definition.’’ Attempting to transcend the limits of language and therefore locate what he believed was the purity and perfection inherent in poetry, Mallarme often utilized innovative syntax, complex metaphors, and experimental typography to create poems that challenge readers’ perceptions. Mallarme was recognized by his contemporaries to be a highly influential innovator of French letters. Since his death in 1898, his reputation as the literary ‘‘Master of Symbolism’’ has grown steadily, reinforced by his ongoing influence on French literature. While critical response has not been without negative commentary on the difficulty of some of his works, by and large, Mallarme has retained his status a significant literary figure of the nineteenth century whose work is deserving of both praise and scholarship. 1. Discuss the nature of obscure allegory in Mallarme’s verse. Do you feel such obscure analogies benefit a poem, or detract from it? Why? 2. Mallarme’s works have been described as ‘‘decadent.’’ Do you agree with this? What evidence do you see to support this label? 3. What does Mallarme mean when he uses the term Transposition? 4. Do you agree with Mallarme’s position that poetry is the only way to adequately express our feelings and that ordinary language is a disappointment? Are there other forms of communication that serve the same function as Mallarme’s conception of poetry? Beum, Robert, ed. Dictionary of Literary Biography, Volume 217: Nineteenth-Century French Poets. Detroit: Gale, 2000. Bloom, Harold, ed. Modern Critical Views: Stephane Mallarme. New York: Chelsea House, 1987. Michaud, Guy. Mallarmee, translated by Marie Collins and Bertha Humez. New York: New York University Press, 1965. St. Aubyn, F. C. Stephane Mallarme. Woodbridge, Conn.: Twayne, 1989. Williams, Thomas F. Mallarme and the Language of Mysticism. Athens: University of Georgia Press, 1970. Wolf, Mary Ellen. Eros Under Grass: Psychoanalysis and Mallarme’s Herodiade. Columbus: Ohio State University Press, 1987.